Chuck Bergman – Chuck Bergman Is an author, psychic medium and a retired police officer who has had the ability to communicate with the spirit world since childhood. Chuck Bergman Is an author, psychic medium and a retired police officer who has had the ability to communicate with the spirit world since childhood. Is an author, psychic medium and a retired police officer who has had the ability to communicate with the spirit world since childhood. He has been profiled on A&E, The Biography Channel and many TV specials, and is a frequent guest on radio shows, including Coast to Coast AM. In addition to giving individual readings and hosting group forums, Chuck has assisted numerous law enforcement agencies across the country in their on-going investigations. Private Readings take place in Middleburg, FL. Phone Readings are available and can be booked on the easy to use calendar! Book a Phone Reading to Connect with a loved one on the Other Side! I have successfully performed seven “consciousness readings” with people who are in deep comas or who have drastically reduced mental or cognitive abilities (Alzheimer’s). I have proven that these people are not only fully aware of their surroundings and their condition but are in fact in a state of heightened awareness. Rather than being trapped in a dark void, their consciousness freely travels and can observe events in distant locations. In addition, people in comas report that they also sense and read the feelings and thoughts of those around them. They indeed know you still love them. I am seeking to do more “consciousness readings” at no cost to the client for a brand new project I am involved with. I am focused on the local Jacksonville, FL area but will travel if expenses are reimbursed. With my background in law enforcement, I am specifically looking for persons who due to a crime or tragic or sudden accident cannot physically communicate. I have no doubt that I can reach them. And the information they will provide will be invaluable to not only their loved ones but reveal the circumstances, which led to their condition. Facebook Testimonial: Heather Albinson I had the pleasure of meeting Chuck and his son today. He read my son who is 22 months semi-conscious and unable to communicate. Impressive is an understatement… Chuck was 100 percent accuracy in everything he said. I do not have a lot of happy moments going through this situation. But today Chuck made me very happy. I know my son is in there and I know he loves me. Thank you kindly sir. World-renowned psychic medium, teacher, and co-producer of the CBS drama The Ghost Whisperer, highly recommends Chuck for psychic mediumship readings and lists Chuck on his website as a trusted medium and Psychic Detective. Communication with the other side is a three-way communication that requires 100% participation from you, Chuck and your loved one in spirit. In this video all three elements were met and the results are absolutely amazing! “Dr. Truth” many times. Chuck was doing an on the air reading with Charles Strange hoping for a contact with his son Michael Strange, a fallen NAVY SEAL. The Biography Channel and A&E’s Psychic Search featured Chuck Bergman. A missing persons case in Jacksonville, Florida. Police detectives who had been working on the case for six years had hit a dead end. Chuck was born in Jacksonville, Florida, he is a third-generation psychic medium who realized his gift at a very early age. During his 32-year career as a police officer in Salem, Massachusetts, however, Chuck kept his gift under wraps. Since his retirement and going public as a psychic medium, the A&E Channel and The Biography Channel have featured Chuck on the program Psychic Search and he has been a repeat guest on many live radio shows, including Coast to Coast AM. In addition to regularly holding sessions and giving readings as a medium, Chuck has helped numerous police departments around the world locate missing persons and solve murder cases. Chuck is the co-author of The Everything Guide to Evidence of an Afterlife (2011) and his autobiography Psychic Cop was published in 2012. Now retired from the police force, he enjoys the freedom of using his gift, regularly holding group and private sessions in Middleburg, Florida, and phone readings with clients worldwide via Skype. Chuck is passionate about educating people on the concept of life continuing after so-called death. Both Chuck’s mother and grandmother were psychic mediums. To further hone his gifts, Chuck completed classes in meditation techniques, psychic mediumship, advanced mediumship, and is a certified Reiki Practitioner. Chuck served in the United States Navy for 4 years overseas and in the Vietnam War, assigned to Special Ops and Radar Operations on aircraft carriers Shangri-La and John F. Kennedy. For 32 years Chuck worked in the Salem MA Police Department as a motorcycle officer, patrol officer, computer and media specialist, and accident reconstructionist. Since retiring from the police force, Chuck has assisted numerous law enforcement agencies across the country in on-going investigations. Chuck has been featured in many news articles and appeared as a guest on live radio shows around the country, including Coast to Coast AM which has the largest listenership around the world. In addition to print and radio, Chuck was profiled in the TV pilot Psychic Search which has aired more than a dozen times on the A&E and Biography channels. Chuck is the co-author of the 2011 book The Everything Guide to Evidence of the Afterlife – A scientific approach to proving the existence of life after death, a thought-provoking guide to examine scientific evidence to help the reader decide for him- or herself whether or not there is an afterlife. Released in 2012, Chuck’s autobiography Psychic Cop portrays his unique journey and depicts his balancing act between the conventional police world and the paranormal, and his journey toward psychic development. 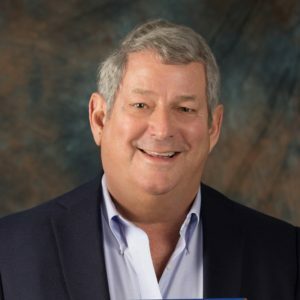 In demand for group reading events, Chuck has hosted group reading sessions in multi-media forums in Boston, Philadelphia, Chicago, and throughout Florida in Jacksonville, Tampa, Sarasota, and St. Augustine. 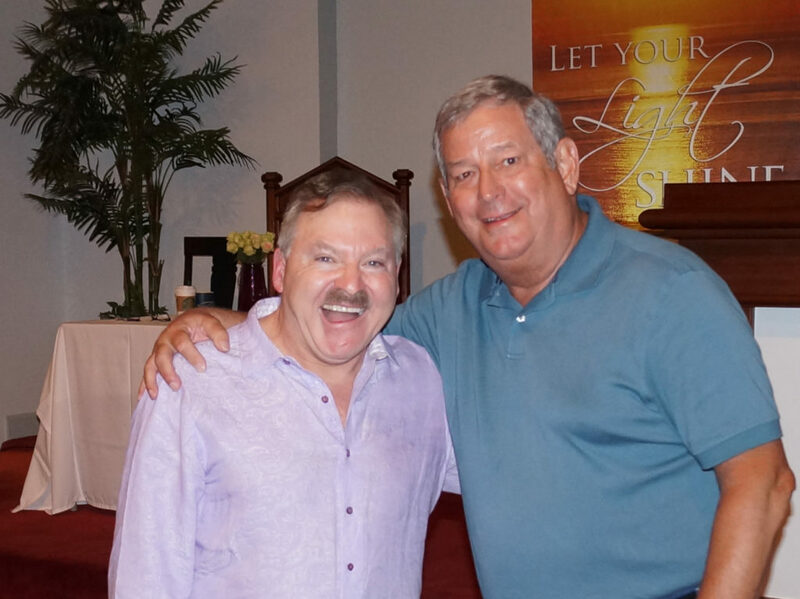 James Van Praagh, the world-renowned psychic medium, teacher, and co-producer of the CBS drama The Ghost Whisperer, highly recommends Chuck for psychic mediumship readings and lists Chuck on his website. "You are what you Love" with Vaishali. You are welcome to call in for an on-air reading at (844) 390-8255. Robert Arena Clerk Magistrate, (Ret.) Essex County, Massachusetts. For anyone who has wondered where our loved ones go after death. Chuck will answer your question. He has received the most remarkable gift of being able to communicate with the other side. Chuck’s compassion, wisdom and calming nature enables his clients to feel comfortable and at ease, as he passes along incredibly accurate and personal information. Chuck reinforces the hope that our departed loved ones are always around us, and that the spirit lives on. Chuck Bergman is the ultimate hero! Not only did he protect and serve as a police officer for over thirty years, his God-given talent as a psychic medium now helps countless people around the world solve the mysteries behind their loved ones’ passing and or disappearances. Chuck’s background in law enforcement, and the ability to see and speak to the other side, makes him the most unique and sought after psychic medium of our time. Audra, I've been going to Chuck Bergman for almost 14 years now and is my "go-to" Medium when I need a reading. He's incredibly accurate, without fail, and an amazing evidential psychic medium, also known as the Psychic Cop. I highly recommend him. A close friend, who had recently lost her husband, referred us to Chuck when our 30-year-old son suddenly passed away. Chuck connected us with Sean, whose sense of humor and personality came through loud and clear. We learned that he was happy and safe where he was, and that he was watching over us. The grief and loss that was taken away after Chuck’s reading made it possible for us to live a normal life again. We can’t thank him enough for his help. Hi Chuck, Thank you so much for our great session today! This was the second time I have seen you work, and I’m simply amazed at the amount of information you get and your ability to put it into words. Being a reiki practitioner, I know how difficult it can be to make sense out of information that is received from the other side, especially since it’s delivered without any context! Sometimes it’s just a fleeting image, a small voice, a partial word/phrase, a sound, an impression, or even a scent, all of which can be very hard to describe to your client. Yet you do this so quickly, so well, and with so much sensitivity and caring for the people you are working with. You really have a gift and have taken the personal risk to share it with others. Hi Chuck, I got the CD yesterday. Thank you so much! After listening to it again things that didn’t click before came to light. What you do for people and family’s such as mine is so wonderful. Things I have held in for so many years came to light and I feel as if a great weight has been lifted. No one could have known the things that were coming out except my brother and father. I will be forever grateful for finding you and now feeling though I have a wonderful friend as you to turn to. Don’t ever stop doing what you do. You are such a kind and considerate person. My sister, brother in-law and my mother are also grateful. I can never thank you enough for bringing the peace and love I now can finally feel. As a child and all through life I always felt as though I didn’t fit or wasn’t really wanted. To hear my father tell me how much he loved the person I’d become, and he loved me was like hearing the words for the first time. I will be seeing you again. I just want everyone to know how truly wonderful you are. YOU ARE THE REAL THING! Hi Chuck! I have had the pleasure of speaking directly with Chuck and can assure any person that he is more than the “Real Deal”, he is not only an accurate medium, but one that goes “Beyond Your Expectations” when giving evidential spirit readings. Chuck is inspirational, captivating, and passionate about his work, and provides the right wisdom proving that our consciousness lives on — eternally.